Find “Import/export a theme” module. Before you install this themes please read our terms and condition. This sky themes is in demo product and you can be access till 30th Dec 2012. 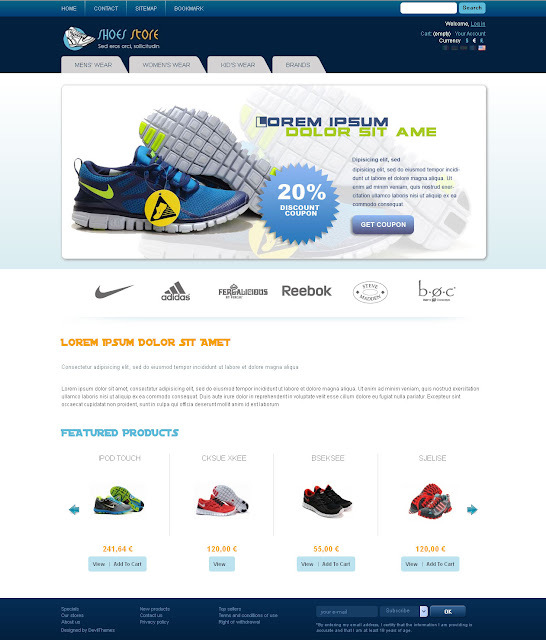 This entry was posted in Blue, Sports and tagged Blue Color Themes in Prestashop, prestashop themes, Shoes Stores Themes, Sky Prestashop Themes, Sports Prestashop Themes on December 10, 2011 by devilthemes. This entry was posted in Blue, Show all Themes, Sports and tagged Blue Color Themes in Prestashop, prestashop themes, Shoes Stores Themes, Sky Prestashop Themes, Sports Prestashop Themes on December 10, 2011 by devilthemes.